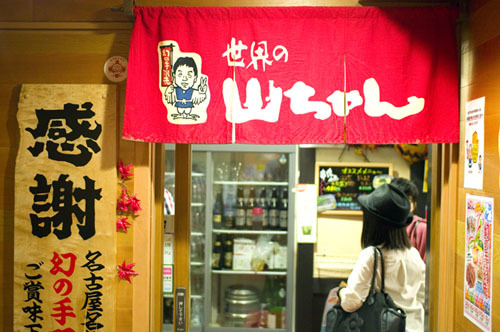 A branch of the very popular Nagoya izakaya chain, Yamachan is a great place to sample local Nagoya delicacies in Tokyo. 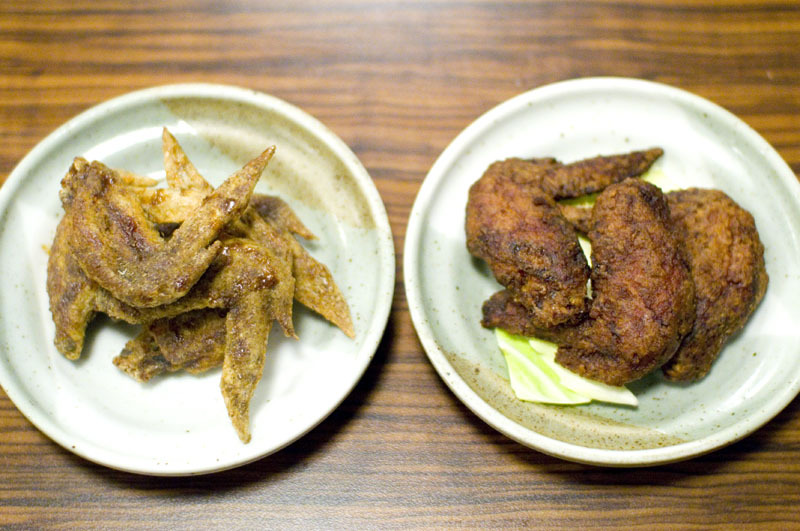 Recommendations include the awesome spicy chicken wings (we prefer the regular wings to the sauce-coated "black wings"); super-crunchy deep-fried prawns; and richly flavored dote-ni (miso-stewed pork entrails). If you want something filling to finish off your meal, the spicy "Taiwan ramen" is a faithful rendition of another classic Nagoya dish. Drink options include a couple of local craft sake, miso-flavored beer, and the usual cocktails, shochu and draft beer. Budget around Y2000-2500 for dinner. 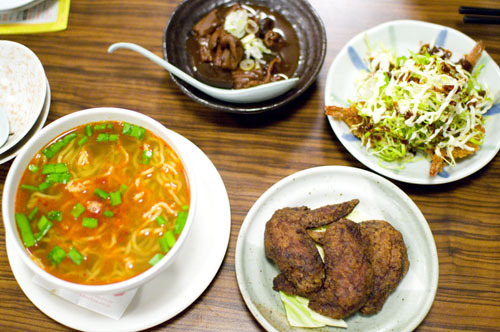 Note that this is one of the rare branches of Yamachan with a dedicated non-smoking section, and as such may be popular with families with children early on weekend evenings. Chuo-ku, Kyobashi 3-3-13, Heiwa Bldg #3, B1F.